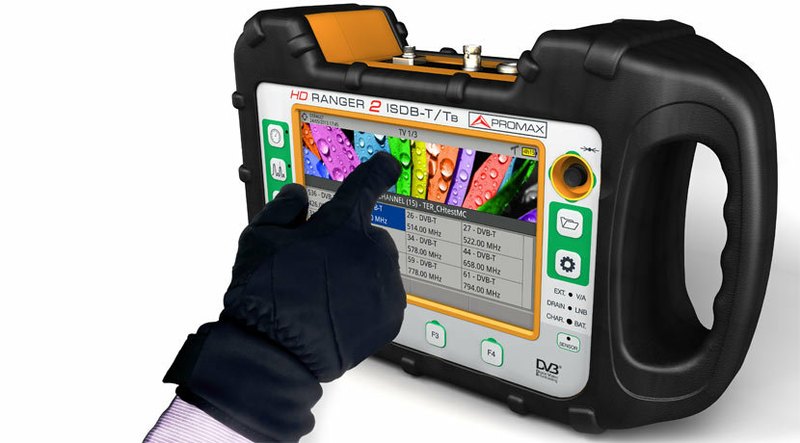 The HD RANGER 2 ISDB-T features a new 7” touch screen with excellent brightness and superior image sharpness that can also be used wearing gloves. 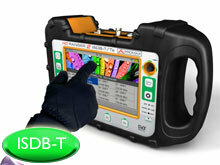 The hybrid operation of the HD RANGER 2 ISDB-T allows the equipment to be fully operated using both the touch panel and the conventional keyboard. HD RANGER 2 features all HD RANGER+ ISDB-T functions plus IPTV input, Common Interface (CAM) for encrypted channels, HDMI interface and TS-ASI input/output. Optical measurements and 3 GHz band extension can also be included as an option, thus converting the HD RANGER 2 in an all-purpose field strength meter.